Sometimes I pick up a book purely for the look of the cover and the title. This is one of those cases. 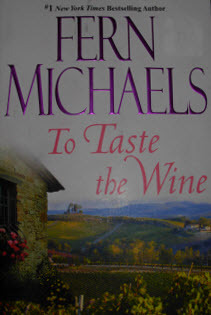 I don’t read many of Fern Michael’s books, but To Taste the Wine held an appeal as it was going to be about wine (hopefully) and I had just recently been in the industry, so why not? To Taste the Wine, is about one woman's quest to escape the life she had performing in her uncle's theater group. While I found the story interesting, with its many twists and turns, it wasn't one of my favorites of the year thus far. We begin with Chelsea Myles remembering her life as it once was, as an only child of parents who owned a dry goods store in Knightsbridge, near London, England. When her parents died of the fever, her whole life changes and young Chelsea finds herself on the run to find her Uncle Cosmo. Let's just say that her uncle isn't the most upstanding person she could find, but nonetheless, he is her family. Chelsea's Uncle Cosmo raises her to perform in his theater troupe. Let’s just say that during the time when this story occurred, the group, such as it was, wasn’t always on the up and up. Since this is the only way Chelsea can survive, she continues to perform night after night until a robbery occurs and once again changes the course of her life. Hoping for a positive change in her circumstances, she finds herself onboard an ocean vessel sailing for New South Wales. She meets a man, Quaid Tanner, who is also on his way home. Over the course of time, they learn about each other’s history and try to forge a future in which many obstacles keep them apart. I am not sure how I would classify this one as it is part romance, part mystery, part drama and part history. I had to keep reminding myself that this story took place in 19th Century London and the wilds of Australia. 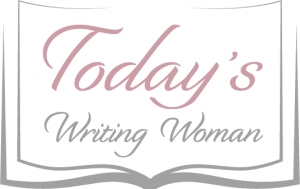 I generally don't read historical fiction, but as I said I would do when I set up to create this blog, I vowed to go outside of my norm and read a few things I would not ordinarily read. Several times, I found myself going back to reread certain sections, because I needed to be sure I was following the story correctly. I must admit this was not an easy read for me, rather it was one that I had to concentrate on in order to follow the story. I couldn't make a connection with the main character so I think that was the reason why I couldn't stay engaged. Unfortunately, I have to admit, this is not one of my favorite books.